Updated townhome in the sought after gated community of The Townhomes of Kensington. This townhome features 3 beds 2.5 baths 1496 sq.ft assigned parking and benefits from a recently replaced roof newer a/c and water heater 2016 it has also had the whole interior professionally painted. As you enter your welcomed into the spacious and bright living room which leads through to a convenient half bath dining area and the recently updated kitchen with newer appliances including a brand new dishwasher and stylish subway tile backsplash. Sliding doors off the kitchen lead out to your screened lanai with garden views. Up the newly carpeted stairs to your right is the stackable washer and dryer and on through to your bright good sized master bedroom with laminate flooring and dual closets along with an en-suite featuring garden tub and sink. Heading towards the rear is the second bathroom again with tub and sink and this follows through to the second bedroom with laminate flooring and double doors. The third bedroom is at the rear of the townhome and again has laminate flooring and good sized closet. The low monthly HOA covers exterior building resort style pool ground maintenance maintenance/repairs roof trash removal and water/sewer. 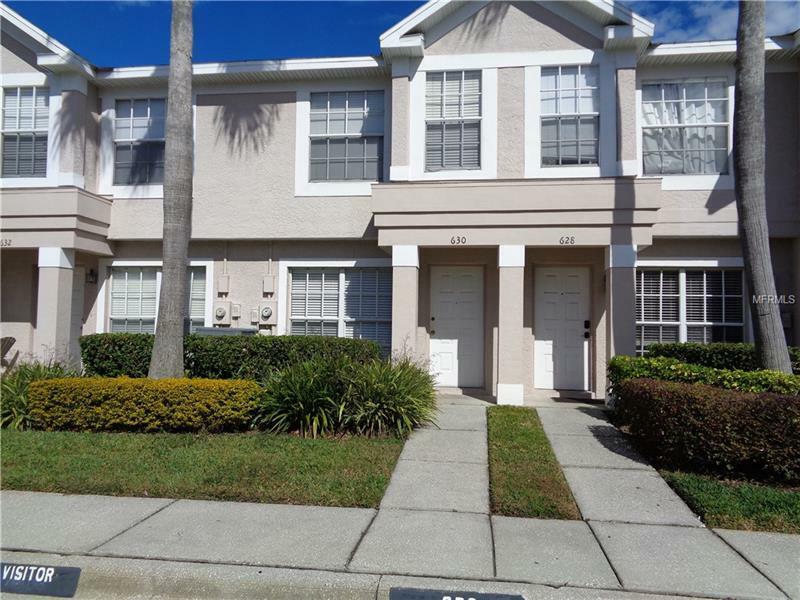 The Townhomes at Kensington are conveniently located just minutes from the Brandon Westfield Mall with it's many shops and restaurants as well as the entrance to the Selmon expressway with easy access to downtown Tampa MacDill AFB beaches and I-75. Copyright © 2019 Mid Florida MLS. All rights reserved. The data relating to real estate for sale on this web site comes in part from the Internet Data Exchange Program of Mid Florida MLS. Information provided is for consumer's personal, non-commercial use and may not be used for any purpose other than to identify prospective properties consumers may be interested in purchasing. American Dream Real Estate Group, Inc participates in the MFRMLS Internet Data Exchange (IDX) program, allowing display of other MFRMLS broker's listings on this site. However may not include all listings currently available. Information is deemed reliable but not guaranteed. Information last updated at 2019-04-26 09:13:23.